Our parents will always be older than us. And while that once meant that they were superheroes to us, now it means their power is fading. It’s your turn be the superhero. It’s not always easy, especially if you’re also taking care of your own children. But it’s always worth it. Part of making the experience as positive as possible (for you and your family) is proper preparation. You have to be physically, emotionally, and financially ready for the responsibilities that come with taking care of an aging parent. One of the hardest parts of taking care of your parents is deciding how. Often, when they can’t take care of themselves completely, you’re left with three options. Each has their positives and negatives, and it’s good to weigh them beforehand. Always remember, taking care of your parents is probably the best way you can pay them back for all they’ve done for you. Having a parent in your house is a blessing; you get to see them every day and you know they are in good hands. If you have children, your parent can serve as an invaluable role model and help in raising them. So if finances are a problem, taking care of them yourself can be the most cost-effective solution. However, if they need 24/7 care or a nurse for round the clock care, this option might not be possible. If your parent has significant health needs, you might find yourself pulled too thin. Between work, raising children, and other responsibilities, caring for your parents can be one ball too many to juggle. Of course, feeding and caring for an extra member of the family will incur certain expenses too. 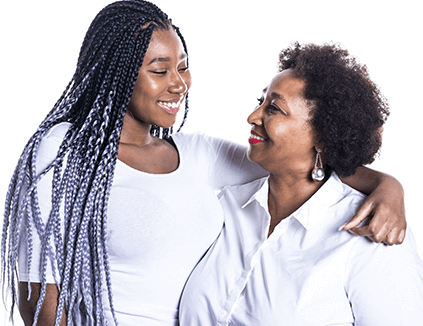 Family support: It might be helpful to ask brothers, sisters, and other family members to contribute to the cost of taking care of a parent. Parents home: If your parent is a homeowner, selling their house could help you cover the costs. Hiring a medical care professional to be with your parent is another strong option. This is good for many reasons. Most importantly, it means they can keep their independence. And having that independence will keep them strong, both mentally and physically. However, hiring a medical care professional can also become expensive quickly. There are many options you can explore, with varying costs for each one. It depends on what type of care your parents need and what you can realistically afford to give them. If this is an option you want to consider, creating a budget will make it easier for you to afford the right medical care professional. This can be a debt-free, realistic option. 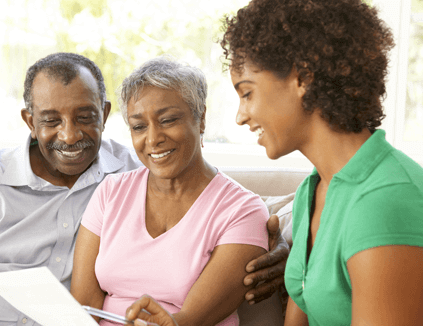 If you can help your parents maintain their independence, you will give them a new lease on life. Nursing homes can sometimes be the best fit for aging parents. This may be a less expensive solution than hiring a medical professional, and it gives them an entire community of their peers to spend time with. If you cannot take care of your parents yourself, it may be your only realistic option. However, not all nursing homes are created equal. If this is an option you wish to explore, you want to do your research. You don’t want your parents to be in an uncomfortable nursing home. You want to make sure you budget enough money for all their needs. If you can find one near to your home, it might be the best choice for everyone. Just make sure to visit often. Many elderly people worry about if their families will be taken care of after they pass away. Ease their mind by helping them set up the right documents. That way, when they do leave this earth, their wishes will be granted. Will: Help them set up the inheritance early. They can always change it, but having something in writing will make them feel safer. Power of attorney: In case something should happen to them, it’s best that they’ve entrusted the right people with the right responsibilities. Power of attorney is one of those. Looking to save some of your hard earned money?